This album is the perfect mix between the old MANILLA ROAD and the new "thrashy" style like on OUT OF THE ABYSS and sometimes on MYSTIFICATION. 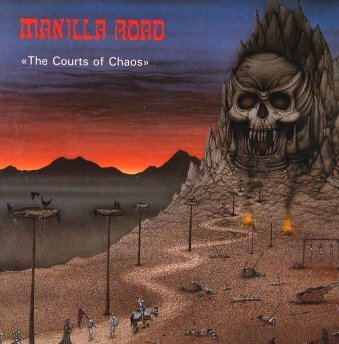 Too sad that this was the last official release under the name MANILLA ROAD and of the classic line-up because they really could have been succesful with this album and with possible forthcoming records of this style! But I think that Black Dragon ran out of money in 1990 because there was NO promotion here in europe for this masterpiece! So...drive to Paris throw some bombs on Rue De Constantinople (even Agnes always wrote nice letters to me in the 80ies!). Again MANILLA ROAD changed a bit. The use of keyboards was new (in the songs! They used keyboards on intros before!) and it fitted well! Randy played them - even live, drums with the left hand and keyboards with the right... The only negative thing I see is the use of triggered drums (even MR were very early with this technic when the drums are played but the sound comes out of a drummachine or sampler). But thanks god we all know that Randy can play this stuff so it is not faked! 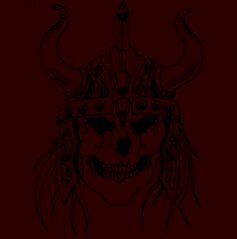 If anyone never heared of MR before and I would give him THE COURTS OF CHAOS because it combines all trademarks plus some modern influences. Is this the best MR-album? If you stay objective I would say yes! The sound is powerful and clear, the lyrics are interesting to read (like always! ), Mark�s vocals range from melodic to rough (even some screams), great riffing and solos, all songs are great, good cover artwork...what else do you need? Normally every Heavy Metal fan should have this CD at home, but Black Dragon was not strong enough to let this happen. Another interesting thing: This album contains the only cover version MR ever did! It�s D.O.A. from the band BLOODROCK and it is not too far away from the original version (read more about this on the special page on this site). I really hate the lyrics of this song because I am frightened enough to fly in a plane..."I try to move my arm but there�s no feeling, and when I look I see there�s nothing there...". Huh!! I think for some metal-fans this album contains the best 52 minutes of music they�ve ever heared! !